Gorkha XI and NCCL XI enter into the Semi-final of the ongoing Christmas Trophy defeating their respective opponents here at Ganga Village playground today. In the first quarter final match played between Gorkha XI and BN XI, Gorkha captain after winning the toss decided to bat first all out in just 87 in 16 overs. Anuj Chetry scored the highest 34 runs for his team. For BN XI Pradeep Lama claimed 5 wickets while Kushal and Mukesh yadav took 2 and 1 wicket respectively. Chasing the small target of 88 BN XI were all out in just 50 runs in 14 overs. Nabam Tempol of Gorkha claimed 4 while Arun took two wickets respectively. Lukbi Lomri and Todak Hapu scored 50 and 49 runs respectively. For NCCL Bipul Kumar claimed 4 wickets giving away just 13 runs in his 4 over while Swapnil and Pritam took 2 and 1 wickets respectively. 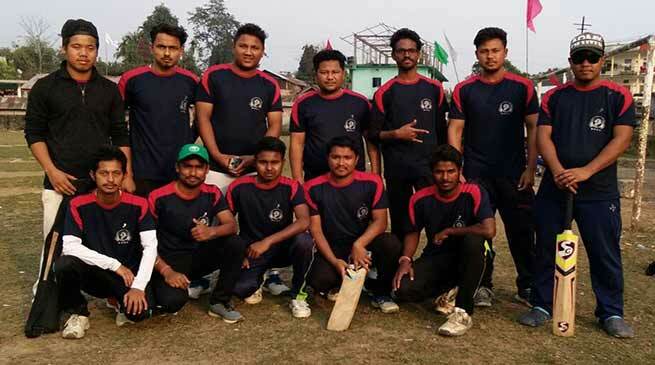 NCCL chased the required runs in just 18 overs were Amit Kumar scored the highest 51 runsfor the winning team while Niron Barman, Dado Tachong and Rakesh Debnath scored 28,23 and 22 runs respectively. Riktum Liya of ECCB XI took 3 while Lomri and Keng took 2 and 1 wickets respectively. 2)Nirjuli Cricket Club vs Chimpu Richi Youth Cricket Club.